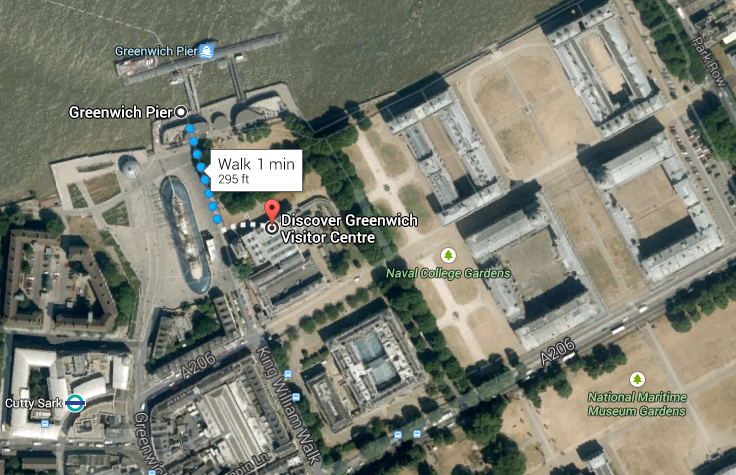 My original thought in visiting Greenwich was solely thinking about the Prime Meridian. Greenwich is a London Borough and has a collection of wonderful places to visit including the National Maritime Museum, the Greenwich Market and the Old Royal Naval College. The Old Royal Naval College (ORNC) looks and feels like a college campus with old buildings and grassy quads. It was built originally as a royal residence, but never used as one. These facilities were transformed to house Naval Pensioners or retirees, similar to Chelsea for the army. The remodel was done by Christopher Wren and in my opinion looks very similar to St. Pauls Cathedral. 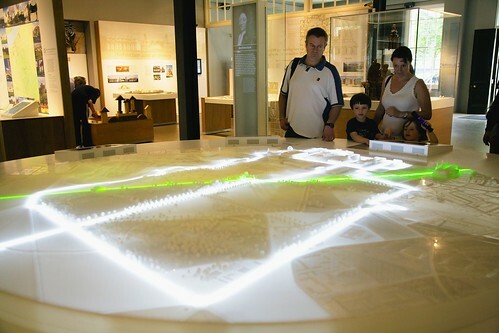 Though its main attractions are the Painted Hall and the Chapel, start in the Discover Greenwich Visitor Centre. There are hands on activities for all agents and exhibits to help situation where you are at. The visitors center is on the west end of the campus and closest to most transportation stops. From the Discovery Center head east along the water front. Of the four buildings on the quad the Painted Hall is the one on the south west. It was originally the dining room and is a sight to impress visitors. The ceiling is painted to tell the story of how King William III had liberated Europe from King Louis XIV. The chapel is across the way in the south east building and depicts the Biblical story of Paul shipwrecked on the Isle of Malta. Your family can find bathrooms in the Discover Greenwich visitor's center. 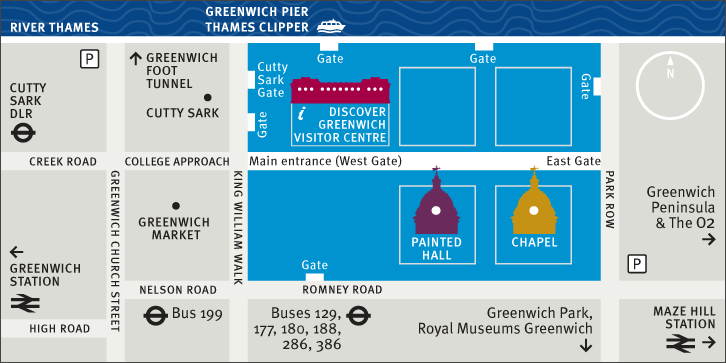 As these facilities are also used by the University of Greenwich you may also find bathrooms in other locations, such as the Queen Mary undercroft. There is no wifi in the public areas. Going on a family vacation builds memories, provides life changing experiences and helps teach about the world we live in. Take time to explore, enjoy and have fun. If the Discover Greenwich Visitor Center and ORNC sounded interesting, you may also like the Banqueting House. You can also look at our entire list of London Attractions.